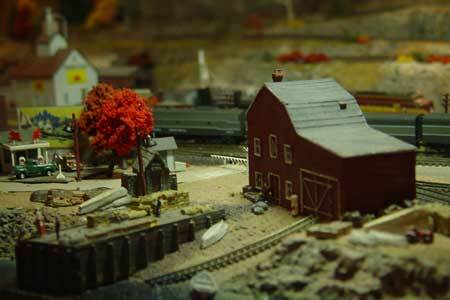 Evening falls in Bradford on Jim Ditkoff’s N-scale New London and Northeastern RR. 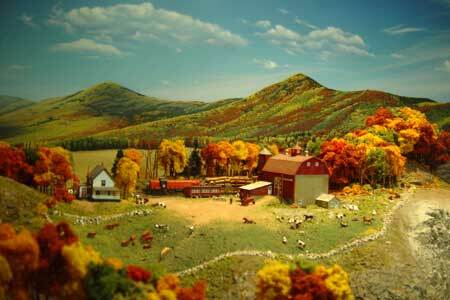 The New Haven shares trackage rights on the NL &NE and and RS-3 and a string of log cars passes Haggerty’s dairy farm en-route to the Linch Logging Co’s mill at Linch Cove. 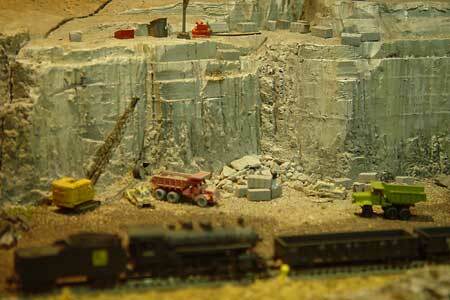 The Compton Quarry at Quarrty Flats Jct is a booming operation! No pun intended! 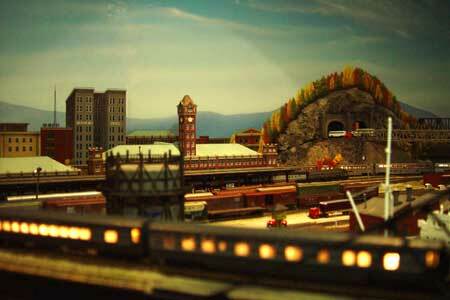 Linch Cove Boat Works shares the highway intersection with Bill’s Mobil and a through NYC train to Boston. 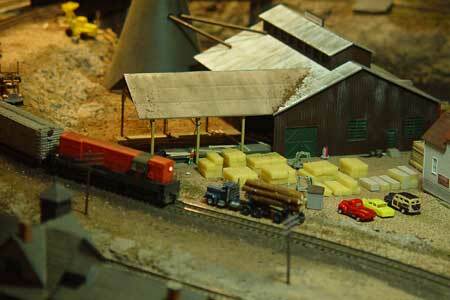 An FM “Baby Trainmaster” off of the NH brings switches a string of empties at the Linch Logging Co. mill in Linch Cove. 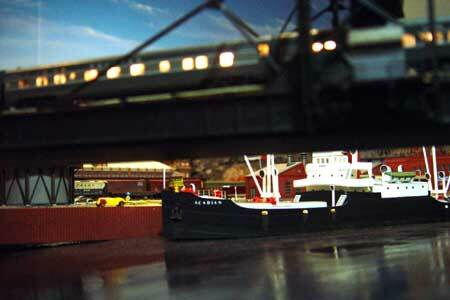 A freighter (Sylvan Scale) gets ready to get under way in Bradford inner harbor as an NYC streamliner to Boston clears the Schertzer Rolling truss.